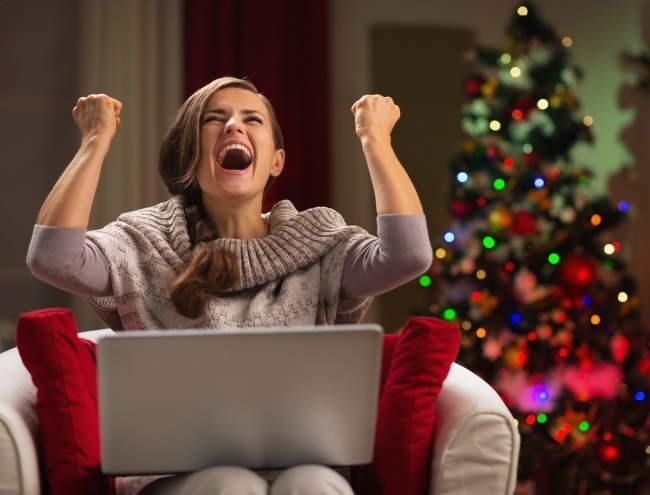 With the holiday shopping season rapidly approaching, commerce technology platform MarketLive surveyed 1,000 U.S. consumers and found that 49 percent will make purchases based on social referrals, and 30 percent have made purchases via social networks during the past year, up from just 12 percent in 2013. 36 percent of respondents said they intended to buy gifts via their mobile devices, up from 29 percent in 2013. 36 percent said they intended to purchase at least one-half of their gifts via mobile devices. 70 percent said they were likely to research gifts they found in retail stores on their smartphones. 56 percent were likely to reserve products on their smartphones and pick them up at brick-and-mortar locations. 44 percent said they would use social networks to discover new products. 52 percent feel that it is important to review products they have purchased. 48 percent believe it is important to share recommendations with friends and family via social networks. 42 percent plan to pin items on Pinterest. 60 percent intend to purchase 11 or more gifts. 55 percent said they will spend at least $500, both online and offline. 42 percent may reconsider buying gifts online due to high shipping costs. 28 percent said they prefer the spirit of being in stores during the holiday shopping season. 16 percent find it easier to research and compare products while in stores. The top reasons for abandoning gift items in their online shopping carts were high shipping costs (64 percent) and hidden shipping costs (52 percent). The survey results highlight key strategies that we are suggesting our merchants implement for the holiday season. Providing an engaging and optimized mobile experience is paramount, given that online purchases completed on mobile devices continue to sharply trend upward, as well as pre-purchase activities on mobile, such as researching prices and looking up store inventory to see if that special gift is in stock. In addition, we are advising our merchants to pay attention to their social channels this season. Revenue from the channel may still be growing slowly, but the survey underlines interesting changes in the role of social influence on gift purchases this holiday season. We may have finally turned the corner on social commerce. This year’s survey results underline the need for retailers to prepare to be able to meet consumers’ online shopping expectations across all channels. It is critical that consumer experiences online, in-store, via mobile and social are all exemplary and aligned to optimize their business. Readers: How do your holiday shopping plans compare with MarketLive’s findings?